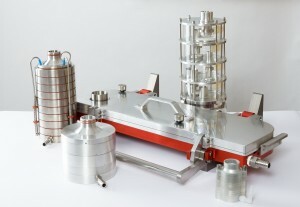 The W7 is a Seven Stage Cascade Impactor with Micro-Orifice Collector conforming to all the critical dimensions defined for USP Apparatus 5 & 6 and EP Apparatus E. The W7 is a multi-jet impactor with 8 removable collection cups and a convenient single tray design with operating flowrates between 15 and 100 L/min. Inhalers. Both configurations use a right-angle induction port which is attached to the inlet stage of the W7 using a friction-seal fit. 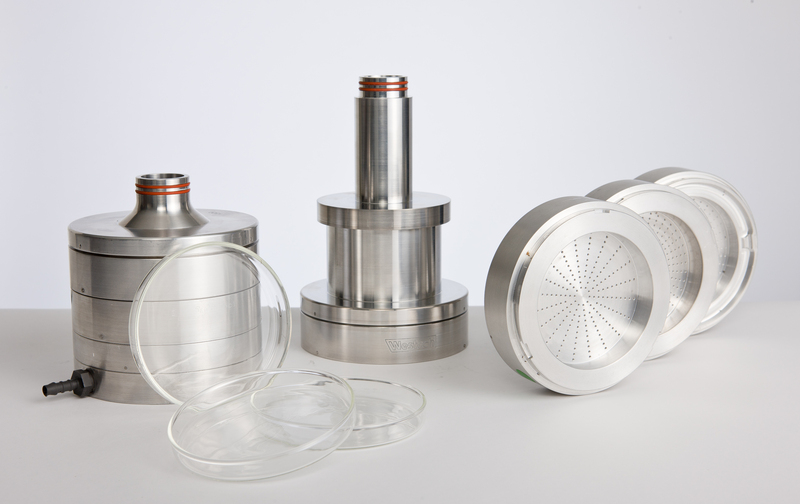 W7 Preseparator removes non-inhalable particle sizes, prevents stage One from overloading and offers a sharp reproducible cutpoint at varying flowrates. Collection Cups are the impaction sur-faces for the impactor mounted in a tray directly below the jet stages. The use of the tray allows for greater throughput and ease of sample recovery. The W7 is engineered to give 3 distinct improved features over previous versions – new coating materials for enhanced chemical resistance and to reduce peeling; removable jets for cleaning and mensuration and a revolutionary design of replaceable MOC. This unique higher specification MOC is designed such that the jet plate can be removed and replaced inexpensively on a regular basis without compromising the performance of the impactor.